This is the third biography of Sinatra I’ve read, the others being Kitty Kelley’s solely unflattering “His Way” and Anthony Summers’ less imbalanced “Sinatra: The Life.” Both were enjoyable reads, but both focused on the narrative of his often unflattering life, side-stepping that which endures (his music) unless it related to an a noteworthy occurrence of Sinatra’s inner or public demons. That was then; this is now. Frank: The Voice reads like a biography, rather than a vendetta. And, having read this, I think I’m done on the subject. Of course, I would have said the same after having read either of the other two. But to me, and many, Sinatra’s music and life attract to this day. The former I took to initially as a balm for my frustrations sitting in rush hour traffic, and now I find that I enjoy his music at any time. As regards the latter, perhaps it’s the allure of a life lived largely, or maybe it’s sheer escapism from the 8-5 careers of the masses. It certainly helps that his life was documented, objectively or not, almost each step of the way. An era not as well documented is Sinatra’s early years. The author inserts a “one must suppose” narrative to tie together what, admittedly, seems to be a likely foundation for the virtues and vices that Sinatra would display the rest of his life. But in a biography, the fiction was initially off-putting. What follows, as details become more concrete, is a nicely summed and appropriately detailed recount of Sinatra’s career, relationships, and foibles (or worse). What sets this book apart from the others is that, as the title Frank: The Voice'>Frank: The Voice'>Frank: The Voice suggests, it gives reflection on the development and quality of Sinatra’s music (both positive and negative) and explores the relatively forgotten years during which Sinatra was not so popular, after all. 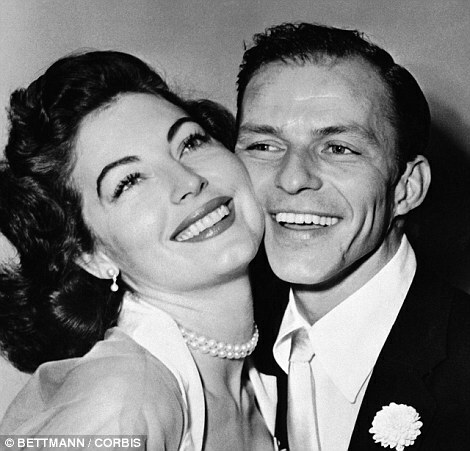 In its second half, the story winds around the highs and lows of his famous “marriage” to Ava Gardner, concluding (prematurely) with his early ‘50’s career rebirth as both an actor and a singer. It’s clear that I would not have “liked” Frank Sinatra if I were to imagine being in the position of knowing him. What is likeable is almost exclusively available on CDs and digital downloads. But the details… Kaplan does a fine job of researching and presents a fair view of Sinatra’s successes and failings, but without pronouncing personal judgment – a pointed failure of the other biographies (that are unkind but not necessarily untrue). At the end, ample context is understood to see that the promise of Kierkegaard’s quote is sadly fulfilled. So, when I say I’m done, I’m done. However, if Kaplan finds a narrative to make sense of the remainder of Sinatra’s life, well... Two minor complaints are that the book might have benefited from more photos, and secondly, that the photos might be placed closer to the pages where they would fit in context. I have been a fan of FS,from the time I heard Iggy Pop singing "One For My Baby" at a concert in 1980. At the time, I thought he was a hoary MOR singer who sang the dreadful "My Way". If it was good enough for The Ig and Miles Davis, well there must have been something great about him. I picked up a second hand copy of "Only The Lonely", and was blown away by the sheer bleakness of the material. This was truly uneasy listening music. Later albums couldn't match the "suicide sets". have read on him was written by Richard Havers. Well written,it puts FS in a historical context from his birth in 1915 to his death in 1998. However, the reviews for this book have been so strong that I am prepared to buy YET another tome on the Voice.